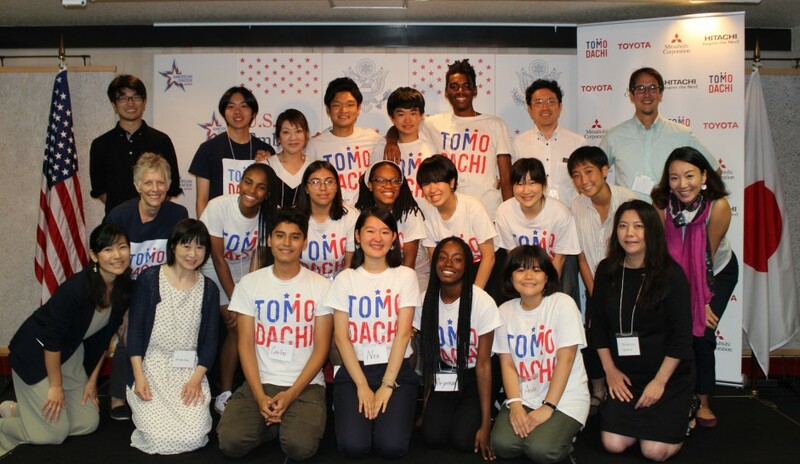 The TOMODACHI U.S.-Japan Youth Exchange Program is a two-way exchange program promoting cultural awareness and sensitivity among Japanese and American high school students by focusing on service learning and social entrepreneurship. The program participants brings together six Washington, D.C. public high school students with six Japanese high school students from Keio Shonan Fujisawa High School located in Kanagawa, Japan. A unique feature of this program is that it seeks to expose participants to civic engagement and social entrepreneurship through experiential learning, focused teamwork and deep cross-cultural immersion. 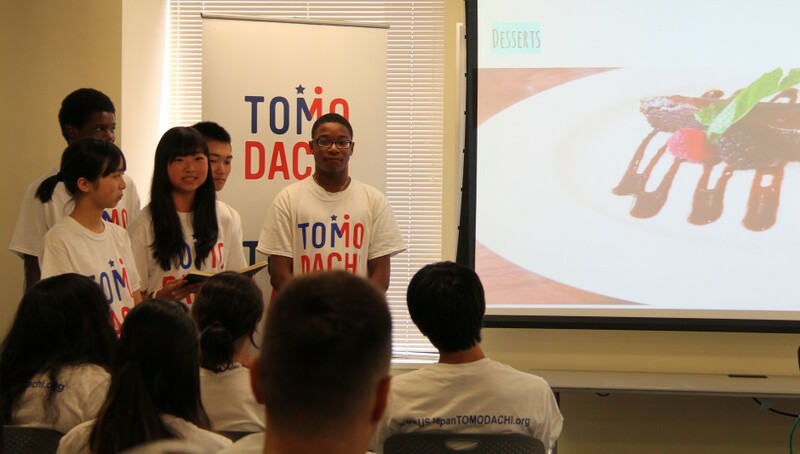 The Washington, D.C. students were encouraged to consider the American and Japanese models for service and social entrepreneurship they learned about throughout the program and to think about possibly developing a project upon returning to the United States. 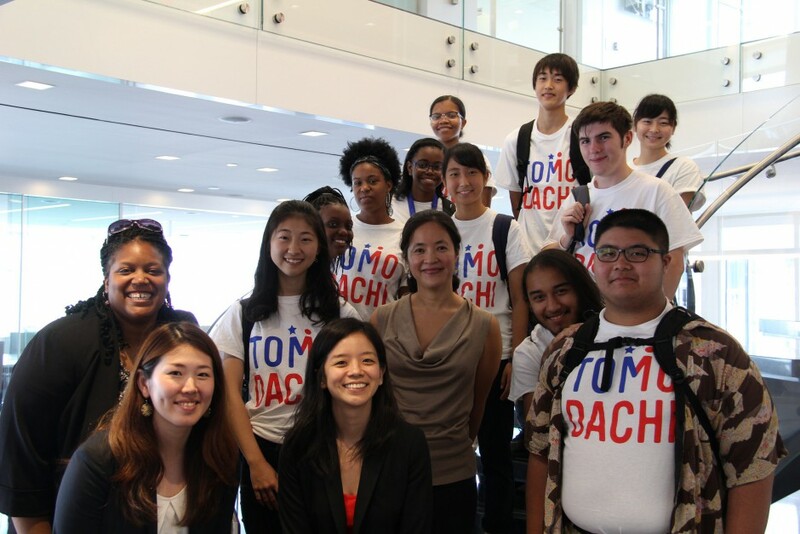 Five students from Tokyo and four students from Tohoku who are TOMODACHI alumni traveled to Washington, D.C. on July 16, 2016 and joined nine students from Washington, D.C. public schools to participate on the TOMODACHI U.S.-Japan Youth Exchange Program. For one month, they explored topics of leadership, culture, community engagement, civic engagement, social entrepreneurship, diversity and historical memory. From July 15-31 and from July 31- August 16, 2015, fourteen students and two chaperones (six students from Washington D.C. Public Schools, six students from Keio Shonan Fujisawa High School, and two TOMODACHI alumni from the Tohoku region) will participate in a six-week education exchange program in Washington D.C., Tokyo and the Tohoku region. The focus of the program is to develop friendship and understanding through in-depth content with a cross-cultural perspective including exploration of the following themes: leadership, civic engagement, social entrepreneurship, and developing observational and analytical skills to prepare participants for the challenges of tomorrow. The overarching theme is Telling the Story, which will be informed by perspectives in each country about U.S. and Japan’s shared history, meeting engaged citizens addressing community challenges, and participants sharing their personal experiences along the way through active reflection, blogging and other avenues for sharing their experiences. This is the second year of the two-way exchange program between Washington, DC public high school students and students of Keio Shonan Fujisawa High School in the suburbs of Tokyo, Japan. 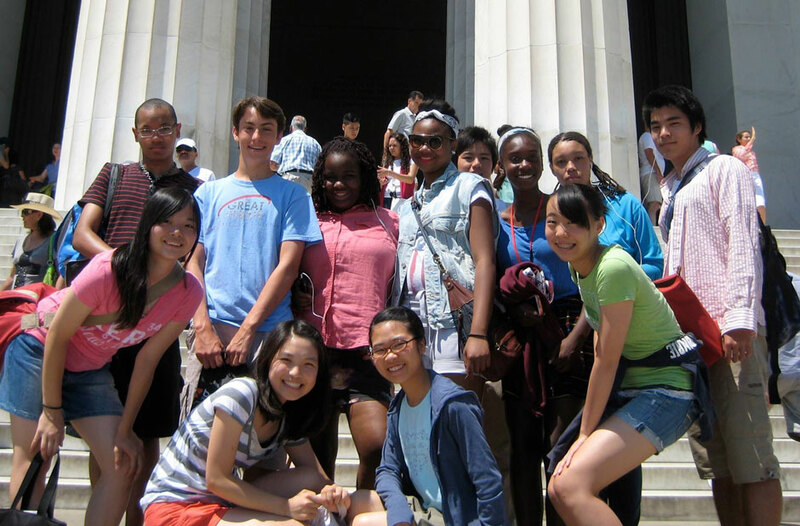 Six students from DCPS or DC charter high schools were selected to participate in a five-week summer program in Washington, DC from July 19 – August 3, 2014. This program also includes a two-week cultural exchange with six visiting high school students from Japan. The purpose of the exchange is to promote cultural dialogue and understanding between DC and Japanese teens; to provide exposure to social entrepreneurship and organizations promoting social change; and to enhance the students’ leadership skills and global awareness. This is part one of a two part exchange. In November, students from Washington, DC travel to Japan for two-and-a-half weeks, which includes the reciprocal student exchange and home stays in Tokyo, as well as a trip to Tohoku, the region impacted by the 2011 tsunami. 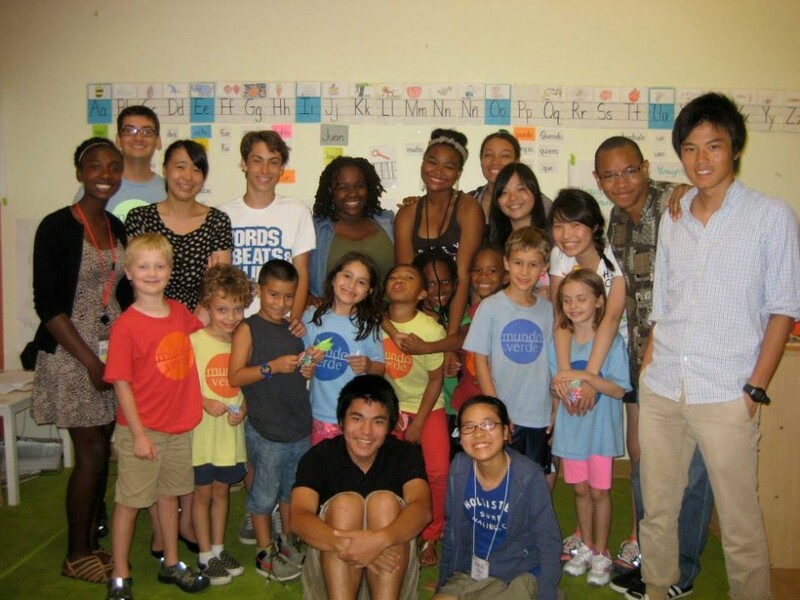 In the summer of 2013, the Japanese students traveled to Washington, D.C. for three weeks, during which time together with the local American students met with social and business entrepreneurs, as well as a variety of organizations focusing on social issues. 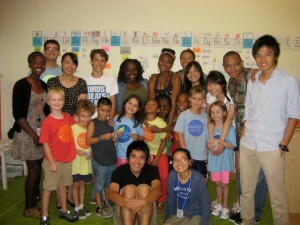 Students learned about civics, history, and politics in relation to social entrepreneurship. They attended a civics workshop, visited historic sites, met with Members of Congress and learned about the history of Japanese-Americans during a meeting and presentation by Terry Shima, a WWII veteran of the 442nd Regiment, which was comprised solely of Japanese-American soldiers. As an experiential-learning program, students participated in in intensive hands-on service projects at city schools, Martha’s Table, D.C. Central Kitchen, and United Way. 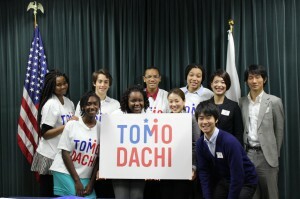 They also had the chance to meet other TOMODACHI Generation students at a reception hosted by the Embassy of Japan. Two program participants Rebecca and Chihiro appeared on the Rock Newman radio show during the summer programming in Washington DC. Hear them talk about their experience: https://www.youtube.com/watch?v=Fi_XoAHU4sI#at=9719 (The segment begins at 2:42:16). 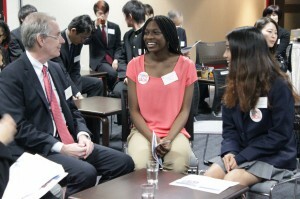 On October 31, 2013, the American high school students travelled to Japan to partake in a two-and-a-half week program focused on better understanding social entrepreneurship as it relates to addressing social issues in Japan. The American students were joined by their Japanese counterparts in Tokyo where they visited local organizations, learning about Japanese culture and civic engagement models. This included the Tokyo Volunteer Action Network where they learned about homeless in Japan and participated in service outreach in Shinjuku. These students were able to share their perspectives on how community service and social safety nets are implemented in their communities in the United States with those they met in Japan. In addition to the direct exchanges, the local organization Globalize DC continues to work with the DC based participants with follow-on opportunities designed to continually engage students in international and Japan related activities. 2013 U.S.-Japan Council Annual Conference – DC student Delmar Tarrago served as a panelist at the conference. American Councils for International Education developed and implemented the program. The American Councils is an association for area and language professionals that creates opportunities for individuals and institutions to succeed in an interconnected world. Globalize DC, a Washington, D.C.-based nonprofit organization with extensive experience working in international education and exchange programs, serves as the local partner for U.S. student recruitment, selection, preparation, and follow-on programming. Common Earth Co., based in Tohoku, is the local partner providing infrastructure, program development, and managerial support in Japan.